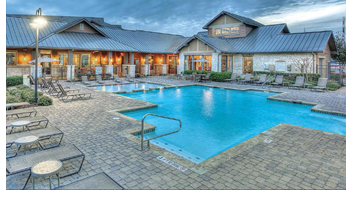 ​​​​​ SAN ANTONIO – Multifamily investor Regional Investment & Management (RIM) has bought the 306-unit Legacy Heights Luxury Apartment Homes at 1320 Austin Hwy. Built in 2009, the apartments average 819 sf per unit and $1,226 per month in rent, or $1.50 per sf, making them the most expensive apartments on Austin Hwy. RIM took out a $35.4 million loan for the purchase. This is the company’s ninth purchase in the area.